I am spending this Easter week in Cappadocia (Καππαδοκία) and already I have been introduced to history of this ancient area in Central Anatolia and some of the sites associated with the Cappadocian Fathers, key figures in Patristic writing. The kingdom of Cappadocia still existed in the time of Strabo (ca 64 BC-ca 24 AD) as a nominally independent state, in which Cilicia was the district that included the capital, Caesarea, present-day Kayseri. In the New Testament, the Cappadocians are named in Acts 2: 9, where they are one of the people to hear the Gospel in their own language on the Day of Pentecost. Early Christians used several underground cities in Cappadocia as hiding places during the early persecutions. Kayseri or Caesarea had a population of 400,000 when it was destroyed by the Sassanid king Shapur I in AD 260. 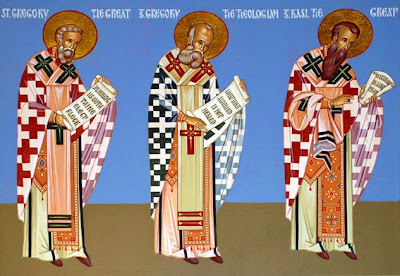 The city later recovered, and was home to several early Christian saints including Saint Dorothea and Saint Theophilus, the martyrs, and the Cappadocian Fathers, Saint Gregory of Nazianzus, Saint Gregory of Nyssa and Saint Basil of Caesarea. 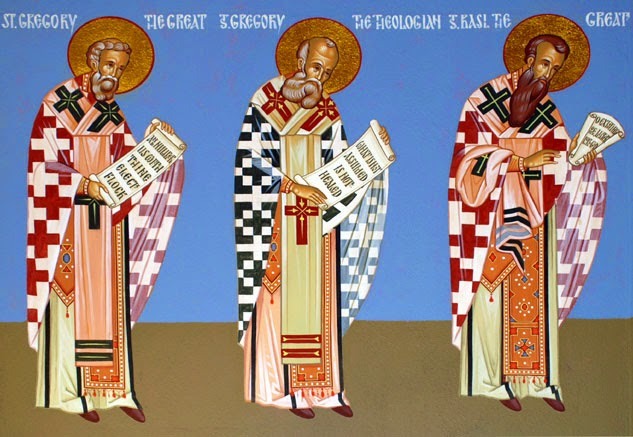 The Cappadocian Fathers were key figures in the development of Patristic theology, and for most of the Byzantine era this region was relatively undisturbed. In the 4th century, Saint Basil established an ecclesiastic centre on the plain, about a mile to the north-east of Caesarea, which gradually supplanted the old town. The site of Nyssa has been identified with the modern city of Nevşehir, where I arrived early on Monday morning [6 April 2015]. However, many scholars question this claim and instead they identify Nyssa with a site near present-day Harmandalı, close to Nevşehir Airport. Later, the Crusaders knew Cappadocia as terra Hermeniorum or the land of the Armenians, because of the large number of Armenians who had settled there. I am staying in the Maccan Cave Hotel in Göreme, near Nevşehir. Göreme was first settled in the Roman period, and the many surviving rock churches are evidence of the prevailing presence of early Christianity. I hope to visit some of these churches in Göreme in the days to come.